I love this jumper from the awesome UK brand Alice Takes a Trip. 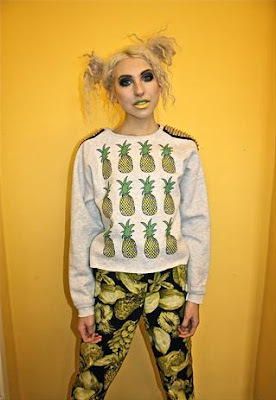 https://marketplace.asos.com/listing/jumpers/pineapple-fruit-print-gold-shoulder-stud-grey-jumper/736298Do you reckon I should get it? It is a bit expensive for me, £45! But, still, wow.